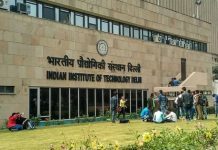 Applications are invited by Indian Institute of Technology Roorkee for admission to Ph.D. programmes for the Spring Semester of the Session 2012-13. Ph.D Programmes are available in all departments/centres including Institute Instrumentation Centre, Centre of Excellence in Transportation Systems, Centre of Excellence in Disaster Mitigation and Management and Centre of Excellence in Nanotechnology. ELIGIBILITY: (1) An applicant should possess the following qualifications in appropriate areas to be eligible to apply for admission for the Ph.D. programme of the Institute. (a) Masters degree in Engineering/ Technology/Architecture/ Urban & Rural Planning / Pharmacy / Computer Applications of 3 years duration after graduation, in respective discipline or equivalent with a minimum Cumulative Grade Point Average (CGPA) of 6.00 on a 10 point scale or equivalent as determined by the Institute wherever letter grades are awarded; or 60% marks in aggregate (of all the years/semesters) where marks are awarded. Such candidates should have qualified GATE prior to admission to M.Tech/M.Arch or thereafter (GATE score may or may not be valid) or UGC/ CSIR NET wherever applicable.This condition shall not be applicable to Sponsored Research Scholars/Part-Time Research Scholars. (b) Masters degree in Sciences/Humanities & Social Sciences/ Management in respective discipline or equivalent with a valid NET (CSIR/UGC)/NET (LS) or valid GATE or valid GPAT score and minimum Cumulative Grade Point Average (CGPA) of 6.00 on a 10 point scale or equivalent as determined by the Institute where letter grades are awarded; or 60% marks where marks are awarded. (c) B.Tech. / B.Arch. degree or equivalent in respective discipline with excellent academic record (with a minimum CGPA of 7.0 on a 10 point scale or equivalent or 70% marks) and in possession of a valid GATE score. a) The applicant possesses the minimum entry qualifications for the degree as given above. c) He / She will be required to reside at the Institute for a period of not less than 6 months during his/ her registration for the degree. (This condition of minimum residence period will be automatically waived for candidates who are working in Roorkee or in Organizations / institutions located within a distance of 100 km from the Institute). as Research Centres. Such applicants are exempted from the requirement of having valid GATE/NET/GPAT. e) The applicants must have been in continuous service with the sponsoring organization for at least two years at the time of submitting the application form for admission. (4) Employee seeking admission to the Ph.D. programme with minimum of two years service in an organization or confirmed regular employee may obtain and submit ‘No Objection Certificate’ from the employer to the effect that the duties allotted by the employer will allow the required time for this pursuit. b) Bank will retain a copy and will return two copies to you. Out of these two copies, retain the Candidate’s copy with you and attach the IITR’s copy with the application form.